Button Bargain 4oz - BLUMENTHAL LANSING-Bag of Buttons. 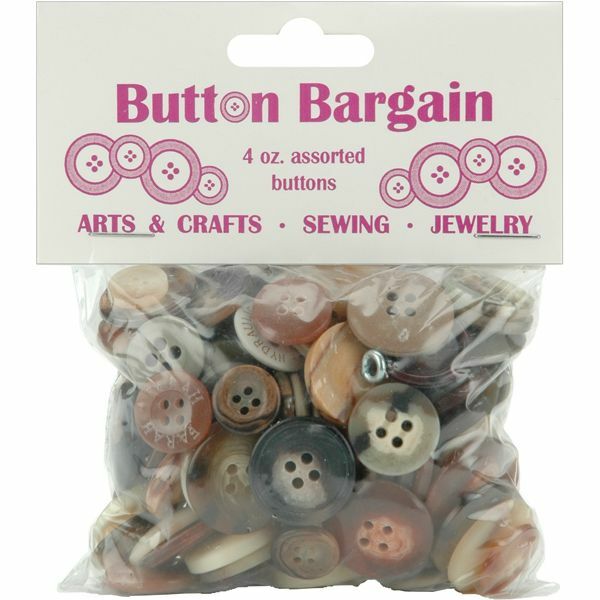 Buttons are popular for crafts, scrapbooking, garments, jewelry, button dolls, crazy quilts and even cross stitch samplers. This package contains 4oz/113g of plastic buttons in a variety of sizes and styles. Available in a variety of color combinations, white and black: each sold separately. Made in USA.